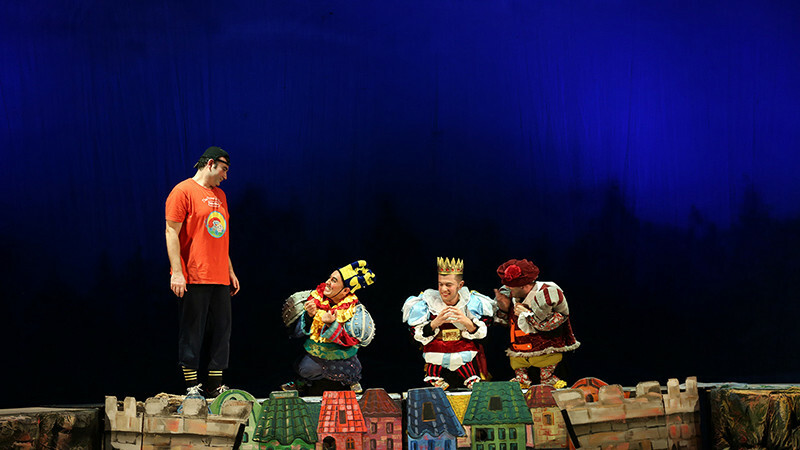 Gulliver in the Land of the Lilliputians in Azerbaijan State Youth Theatre of Young Spectators buy tickets online. Delivery of tickets for the event Gulliver in the Land of the Lilliputians. "Gulliver in the land of the Lilliputians"
Giant Gulliveraccidentally comes to the country of the lilliputians. These lilliputians are in a great danger. They are helpless in preventing it. The Merciful Gulliver saves them. So the lilliputians decide to be friends with him. The performance full of many funny games and events draws attention with its moving decor, beautiful dances, music, and, first of all, a very interesting acting. The performance courages children and youngsters to feel compassion, to be sympathetic and a patriot.